This Contemporary Bar Stool features such stylish grooves it will keep you happily in your seat. This stool is made of a friendly Eco-Leather upholstery and its pneumatic lift will accomadate any occasion. 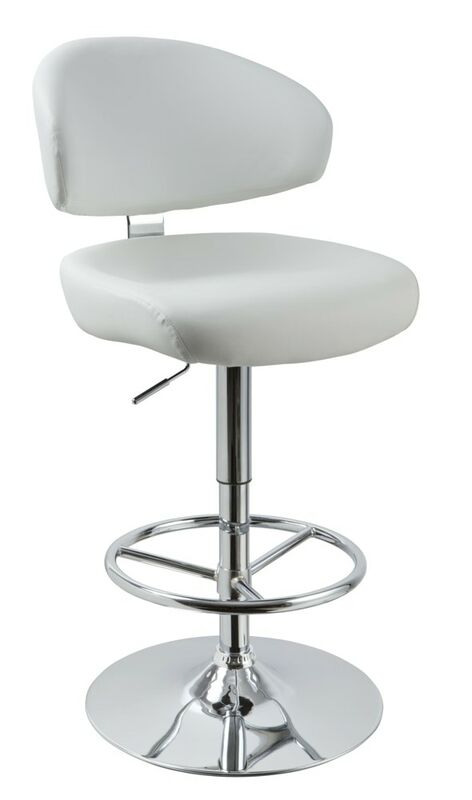 Introducing to you the T1034 - Eco-Leather Contemporary Bar Stool coming in its White color shall compliment your living space perfectly.Stool: W20" x D23" x H42"- 47"